The Smoby Fendt Dieselross is a superb high quality vintage styled tractor modelled on Europe's 1st diesel tractor, the legendary Fendt Dieselross . The tractor oozes individuality and features a very cool engine hood, side-mounted headlamps, robust Ackermann steering, original exhaust pipes and two (2) round mud guards on the rear wheels. On top of all that, the seat is adjustable ensuring comfort for little ones and a dust protected precision chain drive providing long-life, long time play. 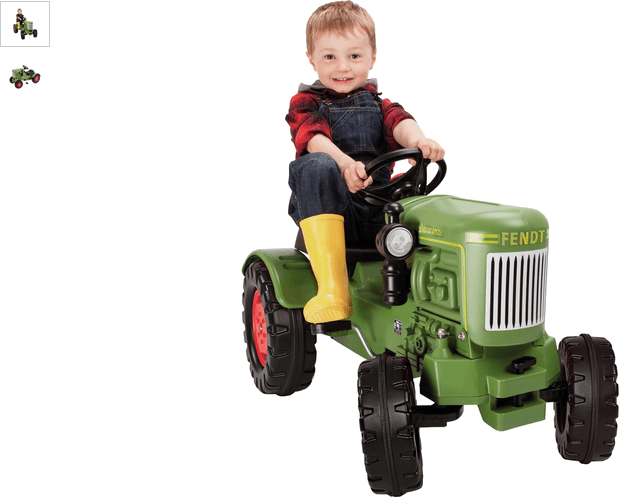 Get money off with April 2019 free Argos voucher codes, see if there's a promo code for the Smoby Fendt Dieselross product. Argos may be out of stock of this product. To enhance your shopping experience you may also be redirected to a search results page when you click an outbound link.